With a long-term installment loan, you borrow a lump sum of money and pay it back with interest over a series of fixed, regular payments. Most traditional banks offer long-term installment loans, with some banks requiring collateral and other banks necessitating nothing but the promise to pay it back. long term loans installment loans can be a lower-interest alternative to credit cards, but they are not appropriate for all borrowers in all situations. 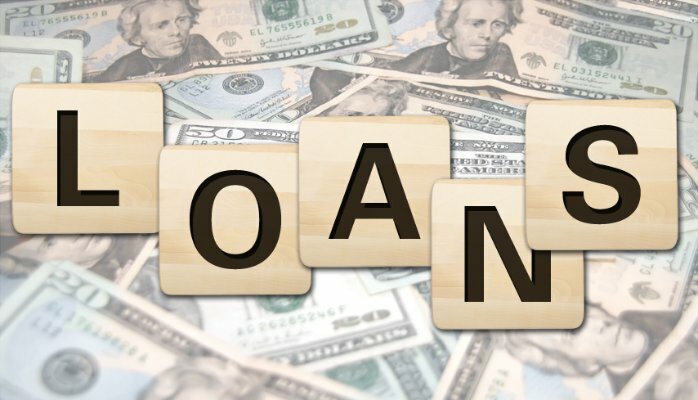 An installment loan is a loan of a certain sum of money that you pay back in installments, usually of an equal amount and at regular intervals. For example, if you take out a three-year installment loan for $3,600 at 0% interest, you pay back $100 per month for 36 months. Most installment loans are not interest-free, however, and unsecured installment loans almost always carry interest. A term of one year or longer may be considered long-term, though no rigid cutoff exists. You can get a long-term installment loan from your local bank or credit union. Search engine queries for installment loan companies yield many results, but exercise caution when applying for a loan online. Many of these sites are scams designed to extract your sensitive personal information. Qualifying for an installment loan depends on your credit, income, assets and other factors. Because they frequently carry lower interest rates, installment loans tend to have more stringent standards than credit cards. As with other types of loans, borrowers with the best credit get the best interest rates on installment loans. One of the most popular uses of long-term installment loans is to consolidate credit card debt at a lower interest rate. Doing so can save money and simplify your monthly budgeting. Instead of having a stack of credit card bills with different minimum payments at different interest rates, you make a single payment each month that goes toward all of your outstanding debt. Another benefit of installment loans over credit cards is that as long as you make your full payment each month, you are always chipping away at the principal balance. Minimum credit card payments contribute little to nothing to principal, leading to the hamster-on-a-wheel analogy; it takes a lot of work to get nowhere. Moreover, when you convert your credit card debt to installment debt, you have a definitive end date in sight for paying it all off. However, if you lack the self-discipline to avoid driving your credit card debt back up, it can thwart your efforts to reduce your credit card debt through an installment loan. Some borrowers preempt this scenario by cutting up their credit cards, or at least taking them out of their wallets, as soon as the installment loan goes through. You can also get a long-term installment loan to make a major purchase — such as a new bedroom set — that might otherwise require a hefty cash outlay. Car loans are classified as long-term installment loans. These loans generally carry even better interest rates than consolidation loans, since the item you purchase serves as collateral. A long-term installment loan can be a bad idea if you do not want to be locked into several years of debt. Many installment loans have prepayment penalties that you incur if you pay them off early. Review all the paperwork, including the fine print, before signing any loan documents. Avoid a long-term installment loan if the monthly payments do not reasonably fit into your monthly budget, based on your income and other debt obligations. Many lenders and personal finance experts recommend that monthly debt payments not exceed 36% of your income. Make sure you understand and agree to the rate and terms of your loan. Banks often advertise low rates on personal loans, even knowing that many borrowers — often, the majority who apply — do not qualify. These borrowers get steered into higher-interest loans, and many borrowers accept them without reviewing the numbers carefully to ensure that they can afford these loans. Always do your due diligence before you agree to borrow money. What are Short term Business loans and why are they important?